We have a wide variety of sun protection products and are constantly developing and manufacturing better products for protection against the harsh South African sun. 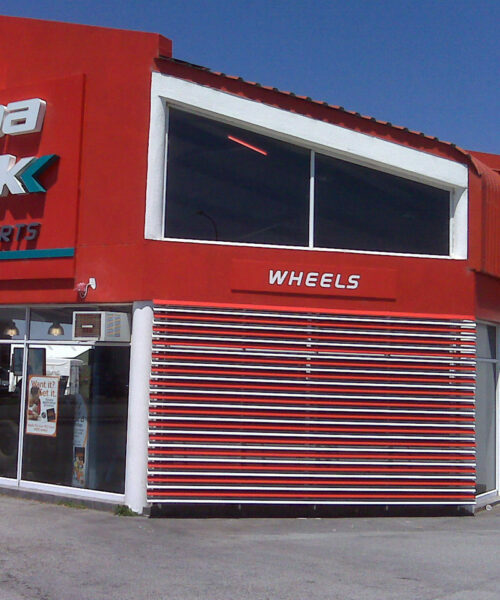 All products are custom made according to the sizes provided by our representatives. 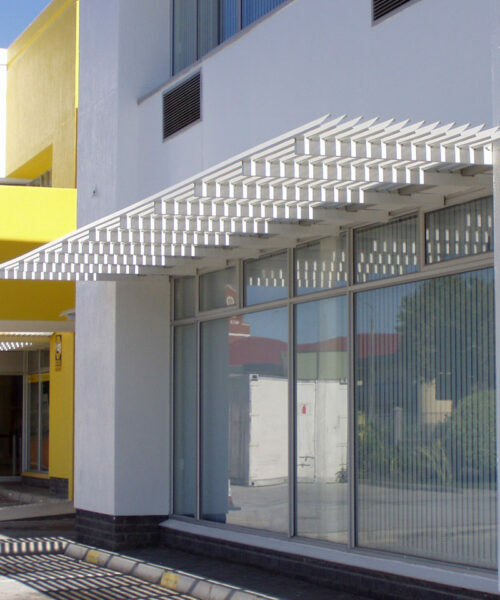 Our Exterior Aluminium Sun Louvres are specially designed to reduce heat and diffuse glare and are FIXED, not adjustable. We roll-form the louvre panels from lightweight, pre-coated aluminium coil thus providing the greatest possible resistance to the weather conditions and corrosion. The louvre systems are custom designed and manufactured to suit all window, architectural styles and sun control requirements. They require very low maintenance and are available in a wide range of colour-fast colours. 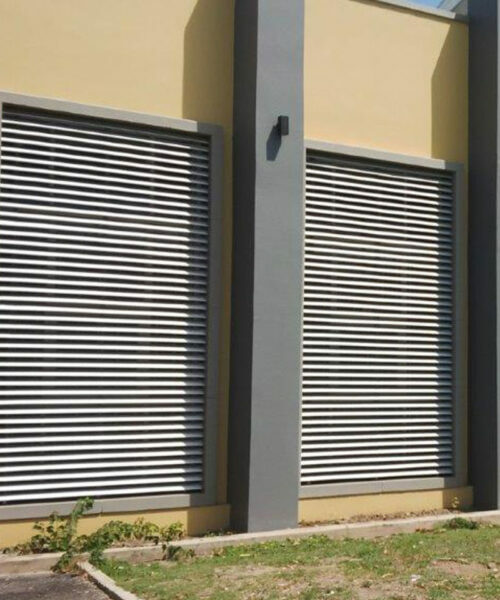 We currently offer three systems/louvre panel dimensions namely, 70Z SUN LOUVRES; 84C SUN LOUVRES and 132Z SUN LOUVRES.